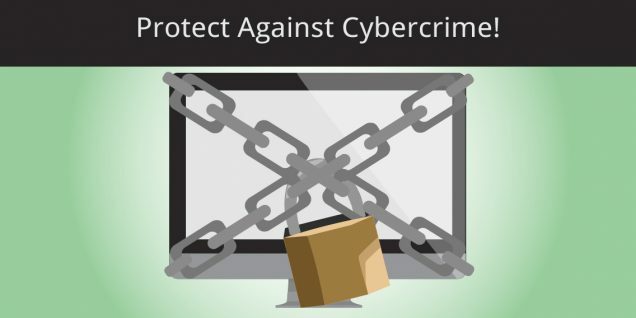 Protect Against Cybercrime - How Cybersecurity Helps! Welcome to part two of our blog series! It is estimated that there will be a $2 trillion loss due to cybercrime in 2019.As mentioned last week, cybercrime is an ongoing threat and supply chains are at risk. Cybersecurity will help to defend against cybercriminals and is essential to ensure that all of your important and private information stays private. It is important to know how to protect against cybercrime. Cybersecurity is protection of your hardware, software, and data systems, from cyberattacks. Cybersecurity is used to protect against unauthorized access into your system and to keep personal information secure. It is designed to maintain the confidentiality and integrity of data. A cybersecurity system is made up of many components. Security risks and threats are always changing, making it very difficult to stay up-to-date. Most times, businesses focus on protecting bigger threats, therefore leaving other parts of your system open for an attack. Above all, it is important that your cybersecurity system is protecting you against all risks. Having and using a good cybersecurity system helps to prevent cyberattacks, data breaches, and can assist in risk management. If an organization has a strong sense of network security and an effective plan in place, it will consequently be easier to be able to prevent these attacks. For that reason, prevention is always the best line of defense against cybercriminals. Cyberattacks vary from identity theft, to the loss of important and confidential information. A lot of people rely on your business to keep their personal information safe. Therefore, a lack of cybersecurity will be significantly damaging to your business and any others throughout your supply chain. Cyberattacks are increasing every year and costing businesses billions of dollars in losses. Not only are more and more attacks occurring, but the severity of them is expanding as well. They are becoming progressively destructive and are targeting a broad array of information and businesses. As mentioned, it is extremely difficult to keep up with the constant changing cyber risks. You need to have a proactive and adaptive approach to ensure that your business is well equipped to deal with it all. Cybersecurity tools and systems are always evolving to meet the rising challenges of cybercrimes. Due to these rising challenges, you need to recognize where the risks are in your supply chain, so that you can take the precautions and preventative measures. First of all, you should use a full-service internet security system. Ensure that the system you are implementing and using helps protect against existing and emerging attacks. Secondly, create strong passwords. Make sure that you are not repeating passwords on more than one site and that you are changing your passwords regularly. Have a combination of at least 10 letters, numbers, and symbols, to make your passwords complicated and therefore harder to guess. Keep your software updated. Criminals know how to exploit your software to gain access to your system. By ensuring that it is always up-to-date, and repairing flaws, will make it harder to get hacked. In addition, you should manage your social settings. Make sure to keep all of your personal and private information locked. Cybercriminals can sometimes get personal information just by using a few pieces of data found on social forums. The less you share publicly, the better. Keep updated information on major security breaches. If someone in your supply chain has been hacked, and they hold some of your important, personal, information, find out what they hacked immediately and change all of your passwords. Also, know what to do if you become a victim. If a security breach happens and you believe you’re a victim, you need to alert the police. It is important to do so, even if you think it is minor. By reporting it, you can help others in the future. Finally, you need to educate and train. Any and all employees that have access to your business and personal information need to be well informed and educated on the system. Having your employees aware will help to protect against many types of cybercrime. In reality, cyberattacks happen. Cybersecurity will not prevent them entirely, however it plays a huge role to help protect against them. As a result, it is important to know how to recognize cybercrime and, above all, how to effectively protect yourself, others, and your business. Take a closer look at Clear Spider’s secure system to learn more about our software! See how Clear Spider will help your business, schedule a demo today!